Light up the road with these projector headlights and give your Mini a unique appearance. These headlights will definitely make your Mini stand out from the boring stock crowd. The bright luminosity that is projected from these headlights will increase the driveability of your Mini. 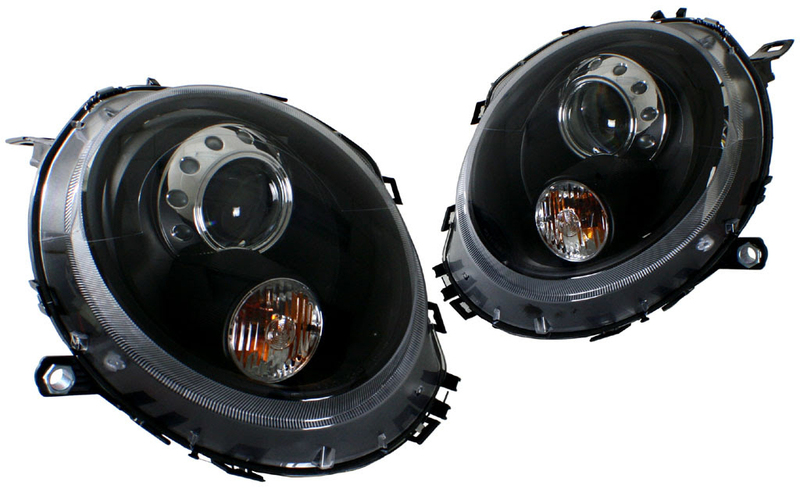 New to our Mini Cooper [R56] lineup, the Helix/Depo Euro Projector Headlights come in a black housing and have a high luminosity output that will be sure to increase the driveability of your vehicle. these headlights are a true plug and play unit so you don't have to stress out over the installation process or have any additional costs. Projector style headlights provide innovative light beam concentration to maximize usage of lighting. Brighten up the road in front of you with these projector headlights and offer that Euro style light beam that is found in most modern luxury vehicles.